Zero. Not good. Worked out 3 x plus one - I've counted yesterday as a workout what with the snow and sledge pulling. So ordinarily would be a loss, however, I didn't keep my food diary from Thursday on wards as I was making my son's birthday cake (see previous post for finished results). I cancelled his birthday party and moved it to the Saturday. The school closed early on Friday and the snow was coming down fast so I took the view that the roads would be a nightmare on Saturday. As it turns out the snow stopped and the roads weren't too bad. Typical. I always dwell on a decision I've made and I must have said at least four times on Saturday "he could have had his party, couldn't he?" In any event, he had a great time with friends in the garden and gets to prolong his birthday even more. Now I have to buy a cake (oh the shame, the shame of it!) for his party on Saturday. We enjoyed a Indian take-away (lamb danshak, rice, nann) on Saturday and birthday cake. So no surprises no weight loss. Yesterday we were out in the snow and I posted some pics on facebook. I asked my friend to give me her honest appraisal and she confirmed that I look a chubby whatsit and my muffin top has increased. I'd much rather someone say that to me than "you look fine" "you don't need to lose any." She confirmed what I already knew. So what to do, what to do. Today the mums were talking of a Zumba class 5 minutes up the road from me that begins at 8pm on a Monday and Wednesday. I have resisted going to an evening class because 1) I prefer working out in the day 2) cost. Its not a lot of money (£5 per class) and it does give someone an income, however, I wanted to do this my way. I know that you work out harder in a class - my Wii dance wouldn't come close to it - the Biggest Loser, cycling and Your Shape would be a bit nearer. Also its such a cliche - January join a gym/class. So I have decided to have a think and if I don't lose weight next week then I will consider joining. This gives me a bigger incentive to eat better and work out this week. On the reading front, one of my new years resolutions, I have started my 2nd book and have also finished this one. Okay its not exactly high brow and a quick read. Whilst watching the making of The Snowman and the Snowdog this book was mentioned. 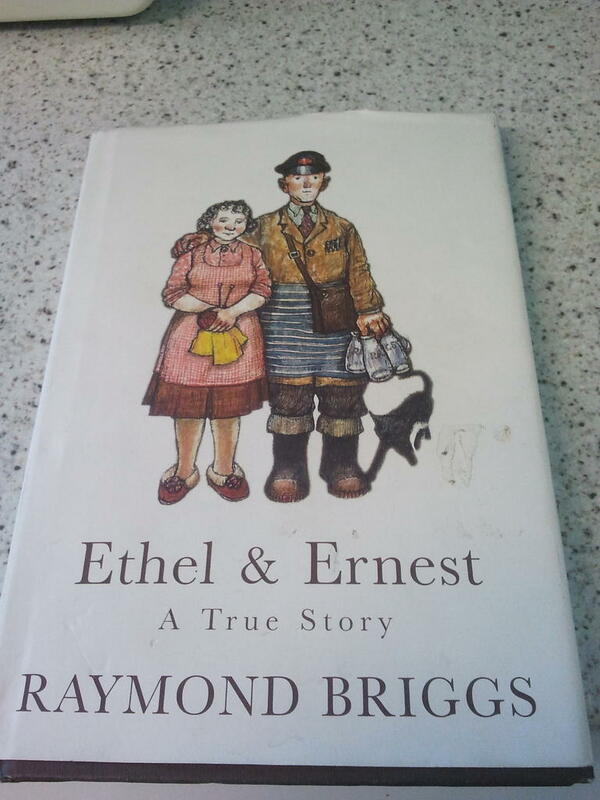 The book charts Raymond Briggs parents lives together. I am happy to say it is a charming, sad, amusing little book. It gives a snapshot of our social history and also has beautiful drawings. On the arty front (I like a gallery so I do) LS Lowry's works are coming to Tate Britain in the summer so we will be paying a visit along with the kids. Now that's high brow.